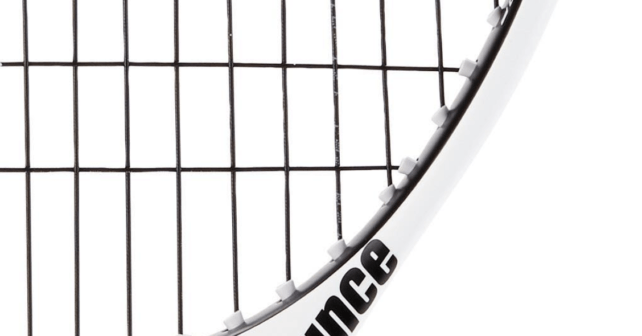 Prince has released a white Prince Textreme Tour 100P Limited edition racquet in time for Wimbledon. The racquet will be used and endorsed by Lucas Pouille. He used the paint job in the Aspall tennis classic. 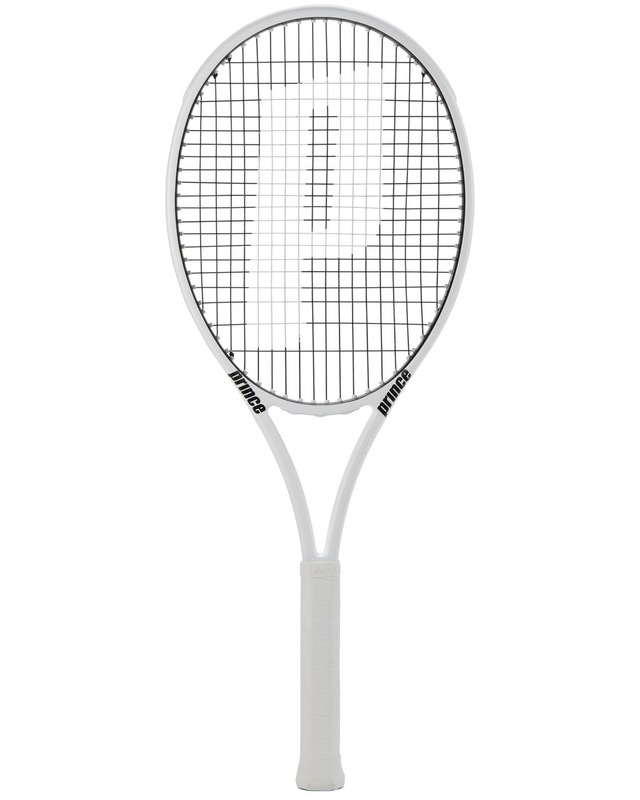 The Prince Textreme Tour 100P is a nice racquet and there was no need to change anything in how the racquet plays. I thought Wilson would use the #whiteout strategy for Roger Federer’s new RF97 Autograph paint job, but instead they added white at 3 and 9 which is a typical Wilson design pattern. Babolat became famous with the “double-line”, which you can see from miles away and I think Wilson wants to reinforce the paint at 3 and 9 as a marketing strategy to more clearly illustrate their brand. Still, I do not really like the RF97A paint job and I think Wilson missed an opportunity to go all white, or at least mostly white in time for Wimbledon. But it is possible that they knew Prince would go all white along with the mainly white Babolat Pure Strike Wimbledon edition . The Prince Textreme Tour 100P is the best looking of the bunch in my opinion though. The main issue for Prince is not a lack of quality of their racquets, but more likely how well the few players they have are doing. 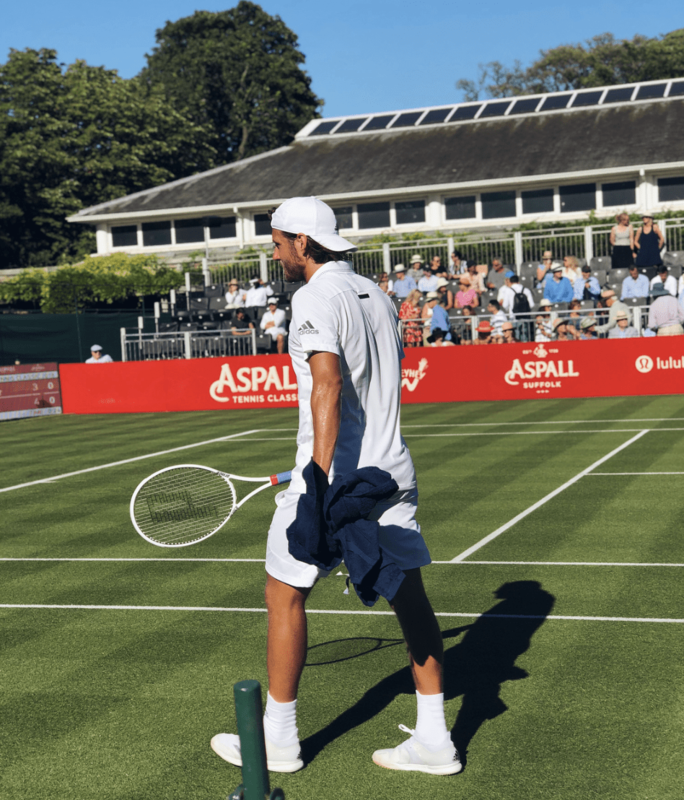 Lucas Pouille has had a challenging year so far and starts his Wimbledon draw against in-form Dennis Kudla. Prince will surely hope he can find his form on grass. Their other top male player John Isner will not be endorsing the limited edition paint job, but will be using the Prince Beast 100 paint job. What do you think of the Prince Textreme Tour 100P Limited Edition paint job? And what do you think of Lucas Pouille’s chances in Wimbledon? Please comment below. The Textreme Tour 100P is my current main racquet (alternatively sometimes I play with the Ultra Tour). I prefer the black and green, although you can have a colour clash with some string colours, eg. orange. I would imagine that the large white area of the LE could get dirty and scuffed easily. Seems Prince is even jumping in the paint job game. Much prefer the green & black, it looks awesome, one of the nicest paintjobs of any racquet I’ve owned, and the phantom 100p’s are a really great paintjob also. White racquets always look too gaudy to me, as though you’re gonna show up to play in alligator skin shoes, a bright gold racquet bag, and with a little shih-tzu. Tennisnerd, do you know if the head TK82 pallet would fit on a prince 100p hairpin? Did you notice that Pouille used the black & green version of the 100P at Wimbly? There was another player using this frame that went further at Wimbledon. Iga Swiatek of Poland won the Girls Single Championship with a Textreme Tour, though I don’t know if it was a 95 or a 100. She was asked afterwards if she was going to make it two in a row at the Us Open, but she said that she had been playing juniors long enough and was going professional. This week the seventeen year old did just that at the ITF Prague tournament, where she made it through to the semifinals. Not a bad career launch – she had a match point there too but one of her many double faults cost her that opportunity. Clearly her serve needs some work, but then she could quickly move up into the top 50 and if they can hang on to her Prince would have some more sorely needed visibility on the tour.